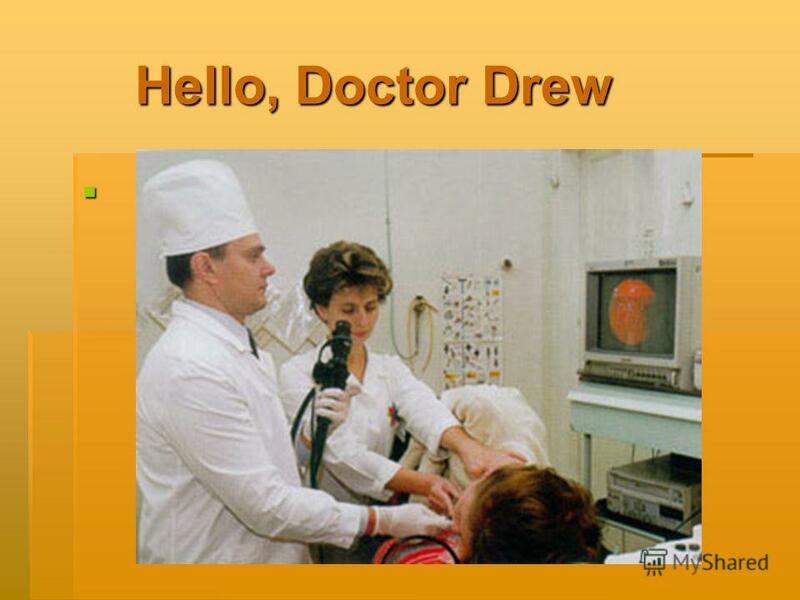 Презентация на тему: "Hello, Doctor Drew Hello, Doctor Drew. Сегодня мы на уроке: 1. Повторим лексику по теме «болезни» и 2 формы глаголов 2. Закрепим прошедшее время Past.". Скачать бесплатно и без регистрации. 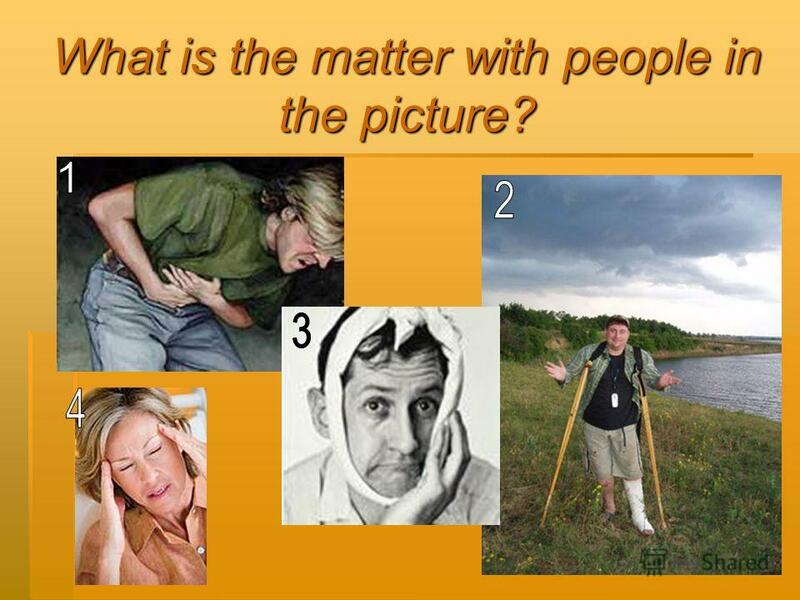 4 What is the matter with people in the picture? 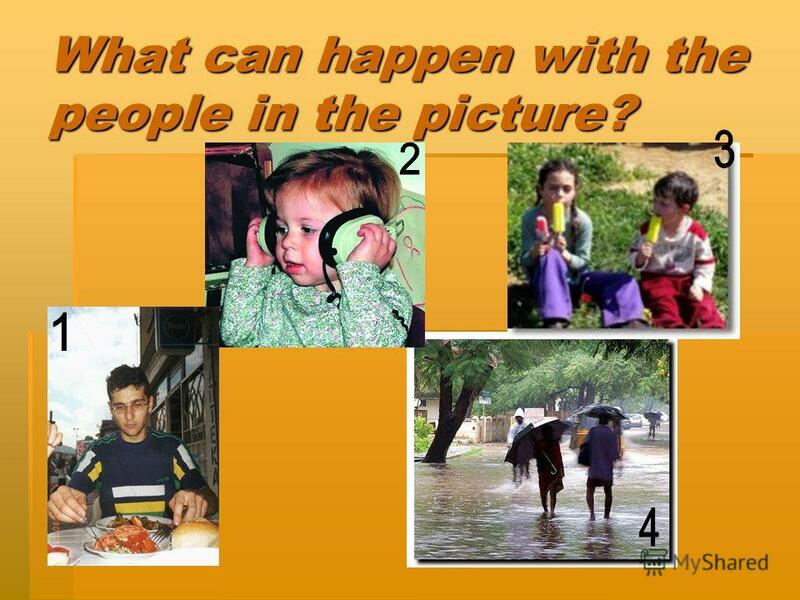 5 What can happen with the people in the picture? 6 Answer the questions 1. 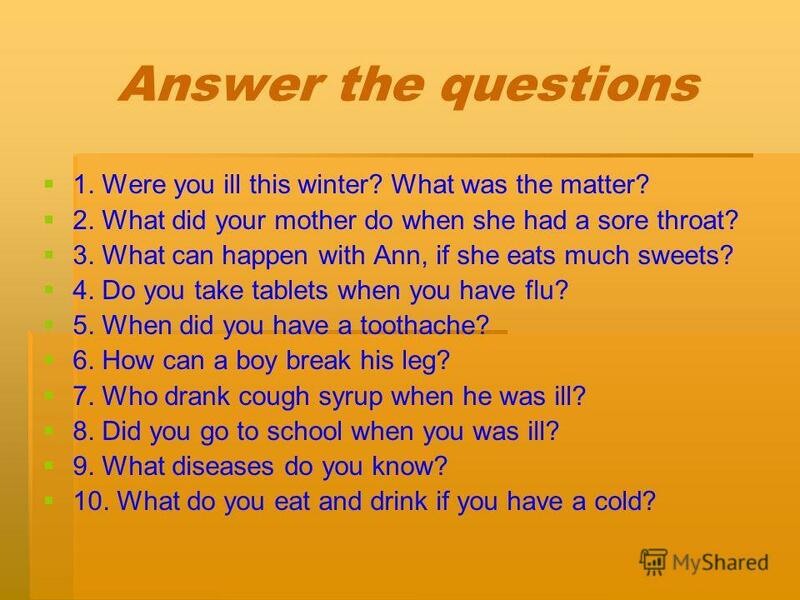 Were you ill this winter? What was the matter? 2. What did your mother do when she had a sore throat? 3. What can happen with Ann, if she eats much sweets? 4. Do you take tablets when you have flu? 5. When did you have a toothache? 6. How can a boy break his leg? 7. Who drank cough syrup when he was ill? 8. Did you go to school when you was ill? 9. What diseases do you know? 10. What do you eat and drink if you have a cold? 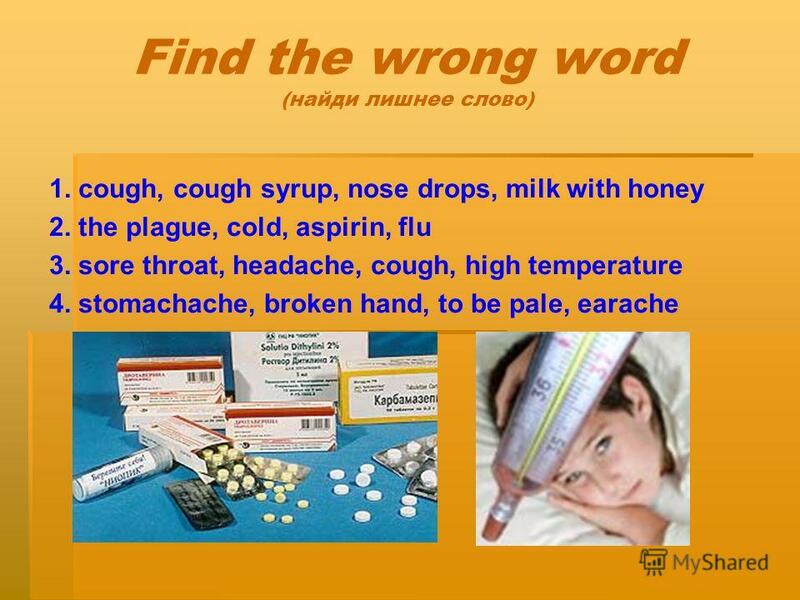 Toothache A sore throat A headache A cold backache. What have you done today to stay healthy?. 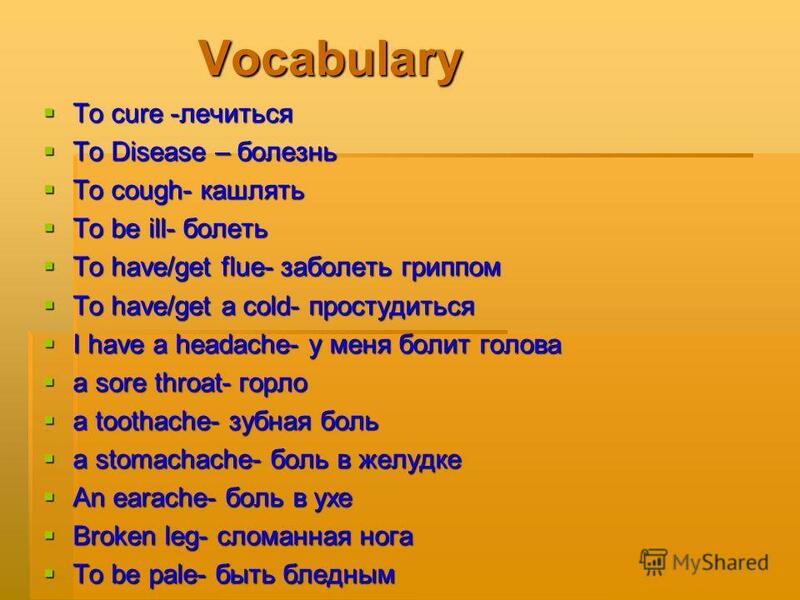 Vocabulary Broken leg Broken leg - … Backache Backache - … Cut Cut - … EaracheEarache - … Headache Headache. Tired - усталый Angry - злой Happy-счастливый Worried-обеспокоенный Cold- простуда, холодный Ill-болеть Unhappy-несчастливый Bored-скучный Sing-петь To. Lesson 2. At the doctors.. What will you do at this lesson? 1.Check your homework. 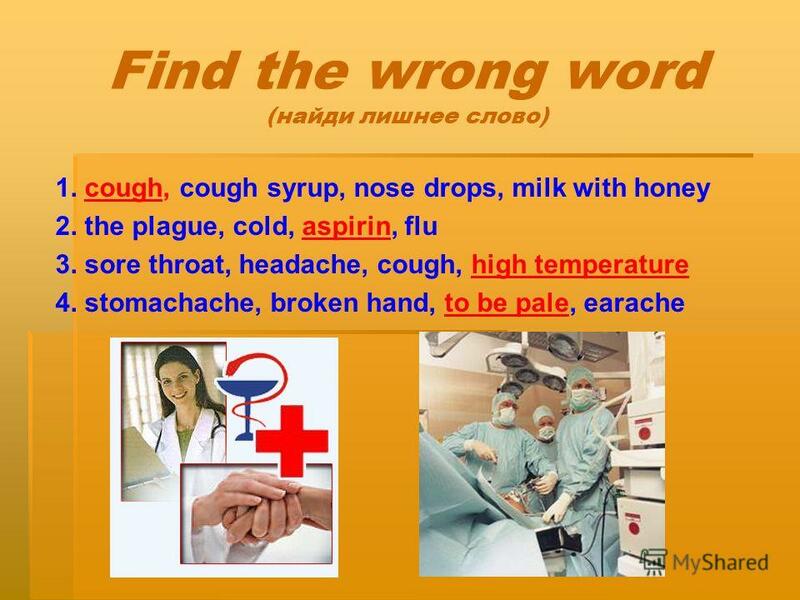 2.Learn new words and irregular verbs. 3.Learn to make sentences in. HEALTH PROBLEMS HOW ARE YOU ???. A HEADACHE John. Health is above wealth. Read and translate An apple a day keeps a doctor away. 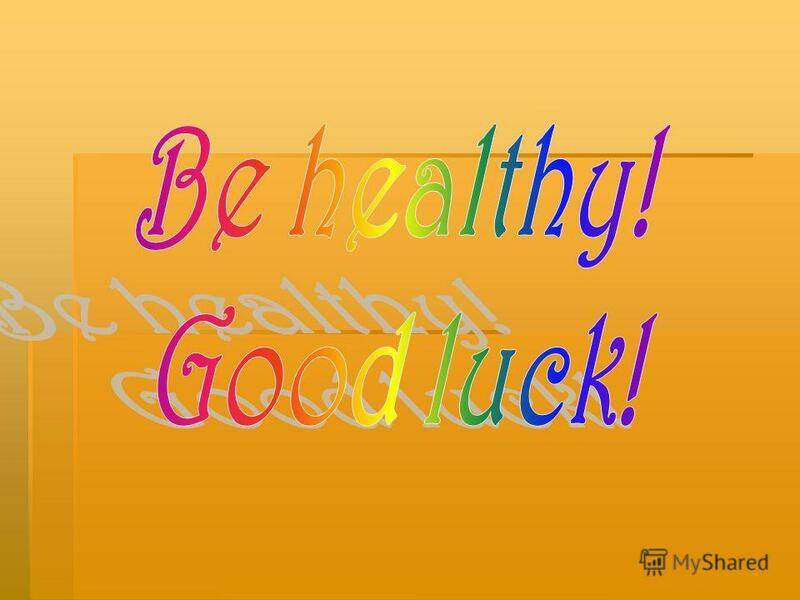 Good health is above wealth. Wealth is nothing without health Eat with. Keep fit and healthy If you have flu, you should... Автор: Шатрова Ирина Вениаминовна ГОУ 489 Санкт-Петербург 2011. What is your medical history? Джумагазиева А.М. учитель английского языка МОУ Неприкская СОШ. Healthy living. My name is Kristina. I lead a healthy life. I do sports and to keep my shape. My favourite sports are: swimming, boxing and horse riding. AT THE DOCTORS Курсовая работа учителя английского языка ФМЛ 366 Мигалкиной Инны Юльевны. 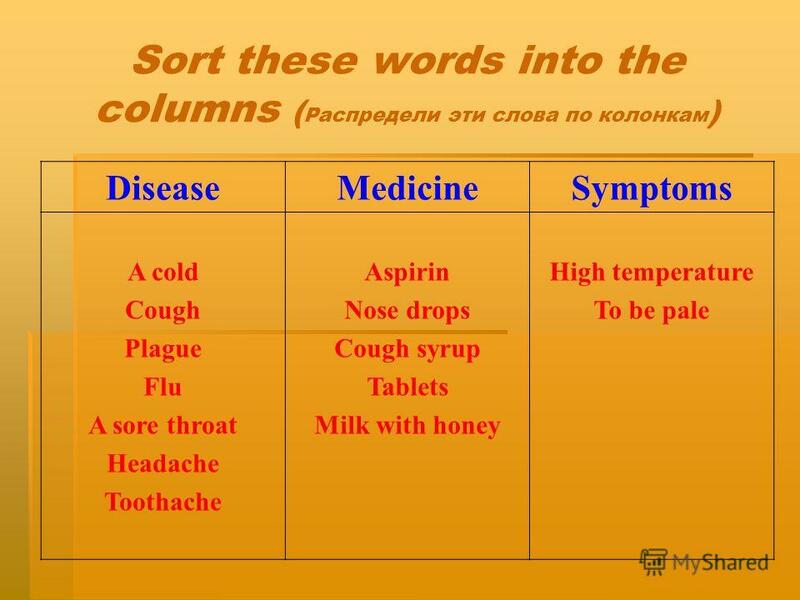 Health Healthy Pressure A medicine Pulse Blood A patient Temperature A diet To cough. Copyright © 2005 – 2006 MES-English.com. A cold A headache. Keep fit and healthy Автор : Артемьева О.Г. Учитель английского языка ГБОУ школа 23. I Have got a stomachache! I have got a…. I have got a runny nose! Vasina Anastasia 9 grade. What are the signs of the flu? Fever Cough Tiredness Sore throat Headache and muscle ache Runny of stuffy nose Throwing up or. Урок английского языка в 6 классе Тема: «Здоровье» Учитель Ковалевская Алла Сергеевна Ковалевская Алла Сергеевна. Grade: 7 е Date: 23.II.2012. 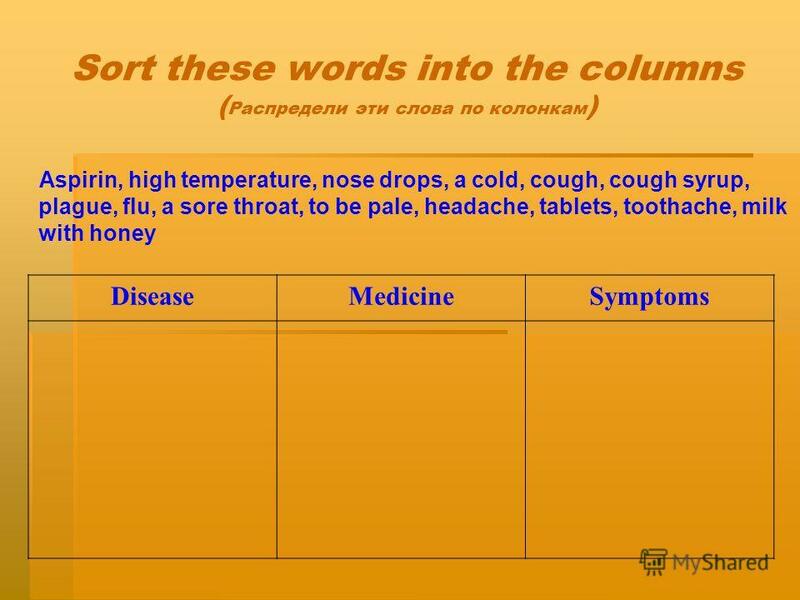 Theme: Health and body care Objectives of the lesson: 1. to introduce new words, to revise grammatical theme. 2. to develop. Irregular verbs exercises. Translate & write the past form Ходить Кушать Делать Одевать Учить Иметь Пить Спать Выигрывать Брать Покупать Писать Ездить.